Mangaluru, Feb 7, 2016: A total of 4,16,312 children aged between 1 and 19 years in Dakshina Kannada will be given deworming tablets on February 10, on the occasion of the National Deworming Day. 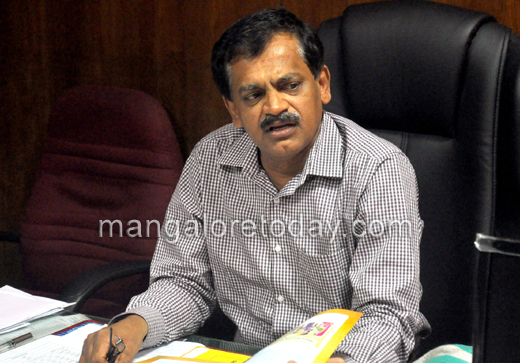 District Health Officer Dr Ramakrishna Rao told reporters on Saturday that worms affect children in India strongly. “Starting February 10, the National Deworming Day, however, the activities will be followed up by a mop-up that will be carried out on February 15. As part of the initiative, Albendazole tablets will be provided – to be given to the children at the rate of half a tablet to children aged between one and two years and one tablet to children between two and 19 years of age,” he instructed. “A total of 1,23,329 children in government schools, 79,234 children in aided schools and 1,21,878 children in private schools in the district are the targets for the programme. A total of 2,129 out of schoolchildren, 86,126 children from anganwadi centres and 3,616 out of school adolescents will be covered in the district. If the private schools place demands for tablets, then it would be supplied to them,” assured the officer. He added that in schools, teachers would provide one Albendazole tablet per child, and also record the same in the register. Also, Anganwadi workers would provide the required dose of tablets to all children between one and five years of age and school dropouts or adolescents and record it in the register. A compiled report on the consumption of tablets will be expected to reach the DHO on March 10, who, in turn, has to submit it to the State government by March 29, he explained. The DHO clarified that the tablet does not have any side affects. “If, however, the child is suffering from any disease, then it is better not to ask the child to have the tablet. The tablet needs to be chewed,” advised Dr Ramakrishna. The DHO said that the burden of disease from worms is mainly attributed to chronic and insidious impact on the health and quality of life of the infected. Infections of heavy intensity reduce physical growth and cognitive development and result in deficiencies of nutrients. “Deworming, however, is quick and dewormed children show improved health conditions gradually,” he added. “Open defecation, failing to wash hands before consumption of food, walking barefoot, consuming fruits and vegetables without washing them are some of the reasons for entering of hook worm, whip worm and round worm to the body of children,” explained Dr Ramakrishna.